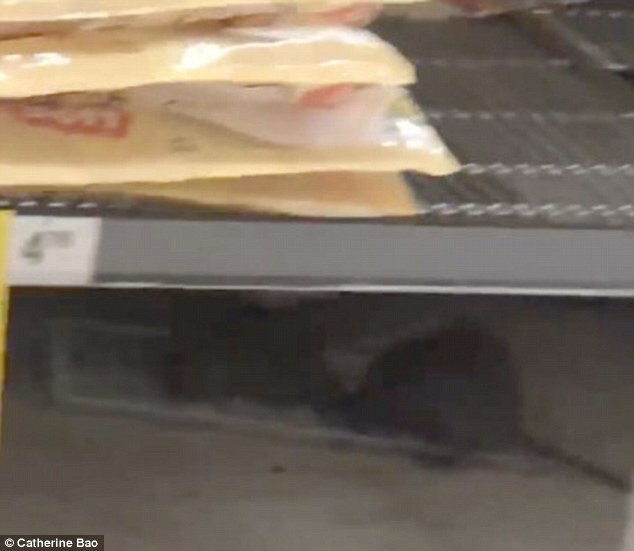 A Woolworths shopper has been left disgusted after finding two large rats hiding under the bread aisle. Catherine Bao was at the Eastwood’s Woolworths, north-west of Sydney, on Tuesday when she came across the horrific sight. 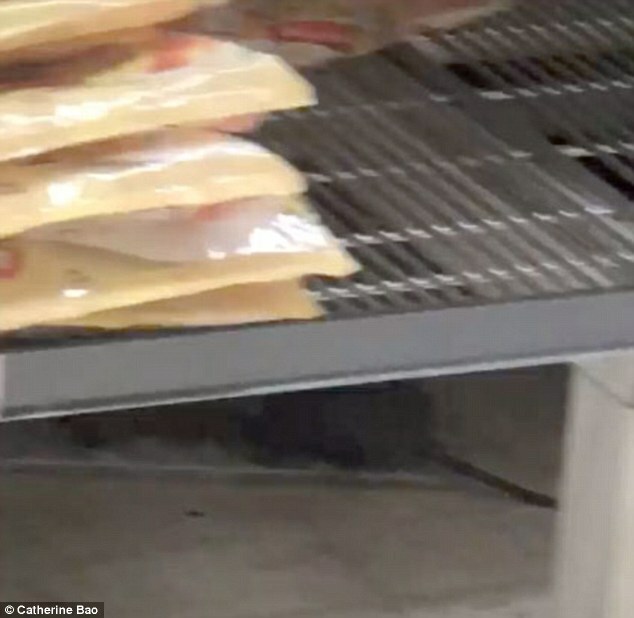 Ms Bao uploaded the footage onto the Woolworths Facebook page, slamming the supermarket giant for not managing the store’s hygiene. ‘There were not one, but TWO rodents (one wasn’t moving and the other would twitch randomly – half dead?) lying on top of some sort of white tray,’ she wrote. ‘I was extremely shocked and disgusted but more so upset over the fact that no one else around me seemed to notice how unhygienic your stores can actually be. Woolworths responded to Ms Bao’s post expressing their concern. ‘We’re very concerned about this, Catherine , and take incidents like this very seriously,’ Woolworths wrote. 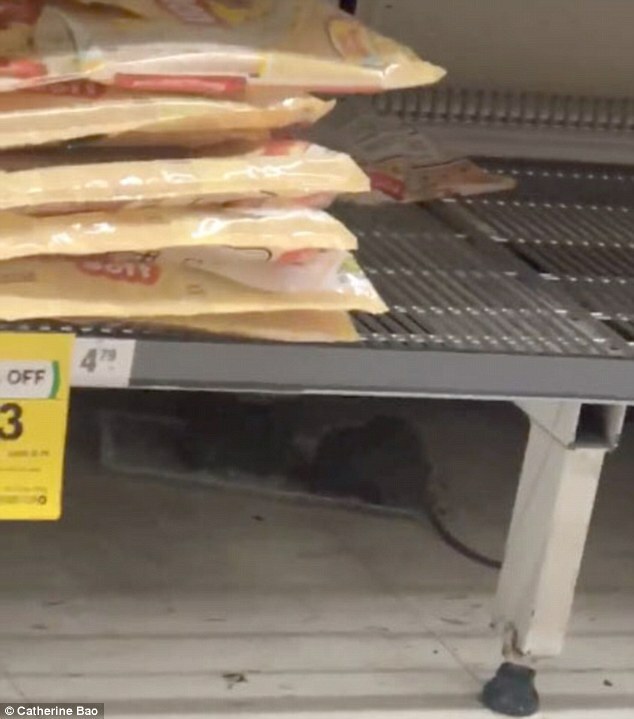 Viewers were quick to comment and slam Woolworths for not keeping the store clean. ‘Please send this to your local council for investigation,’ one commented. ‘Hopefully you told someone there so they could act,’ another wrote. One person joked that it was a ‘good winter meal’.